India’s prime minister Narendra Modi has today suffered the biggest defeat of his political career with his Bharatiya Janata Party being routed in elections for the Delhi state-level assembly. The Aam Aadmi or common man party has swept the polls winning 67 of the 70 seats, driving the BJP down to just three and the Congress Party to an astonishing zero. Today, the people of Delhi have shunned Modi and turned to Arvind Kejriwal (right, during the campaign), the AAP’s founder and leader, to drive change in the capital city’s deeply corrupt and ineffective state-level government. There was a record turnout of 67% of the mostly urban electorate, with more than 8.9m people voting. There are many reasons for this result. One is that the BJP – along with most observers – assumed that it would win Delhi easily and that the AAP was finished. It also over-estimated Modi’s charismatic vote-winning ability and underestimated a growing feeling that his national government has not become the promised agent of change during the eight months it has been in power. When it began to emerge last month that the AAP had been quietly re-building its reputation among voters, especially the poor, the BJP seems to have panicked, and ran a negative campaign that tried to undermine the AAP’s, and especially Kejriwal’s appeal. It poured top politicians and and other MPs into the campaign, even deploying several senior cabinet ministers so that it looked as if it had abandoned governing the country in order to win Delhi. 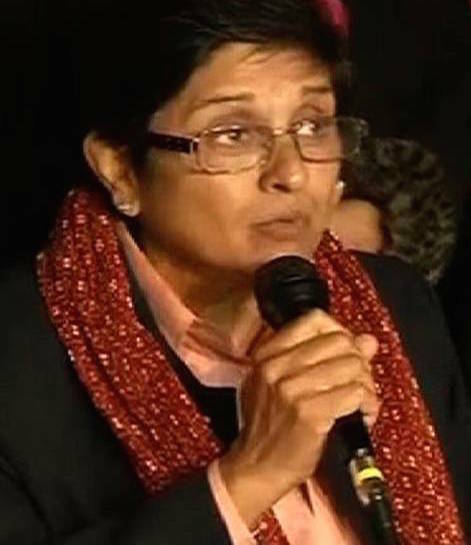 It then made a ludicrous decision, just two weeks before the February 7 election day, when it side-lined its Delhi political leadership and made Kiran Bedi, a 65-year old former controversial police chief and social rights campaigner with no political experience and little charisma, its chief ministerial candidate (left, after she had been picked). It thought she would counter Kejriwal’s appeal but she quickly foundered while electioneering, and has even failed to win her own seat. Significantly the AAP has gained a bigger popular mandate in Delhi, winning about 54% of the votes cast, than the 46% that Modi and the BJP achieved nationally in the general election. 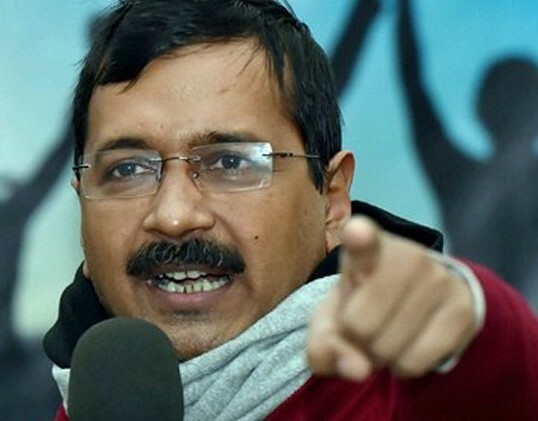 It has also happened after the AAP failed to win any of Delhi’s parliamentary seats in the general election when its candidates were elected in only four constituencies (in Punjab), despite fielding candidates across the country. The party then seemed to have been marginalised in both national and Delhi politics. But it has rebuilt itself and has replaced its former image of rebellion and protest with a constructive approach. Today marks the end of Modi’s political honeymoon period of being a national icon who could wreak almost magical change in the way that India is run. He needs therefore to curb his egotistical style and to focus more on changing the way the government works and produce evidence of results, not just slogans. Many observers are looking to the Budget on February 28 for significant policy initiatives. Modi also needs to be more tolerant of fellow ministers, and less autocratic to the BJP’s MPs. Opposition parties will be encouraged by the result to challenge the government’s pending measures in parliament. The Gandhis and other Congress leaders now have the humiliation of their party winning no seats, compared with eight in 2013 when they lost power after running Delhi for 15 years. Voters, including the Muslim minority, have deserted Congress and gone to the AAP, underlining the dramatic decline of India’s once grand old party. Rahul Gandhi played a significant role in the Congress electioneering and, repeating what has happened in other campaigns, failed as a vote winner. Congress knew it would do badly, but did not expect total failure. 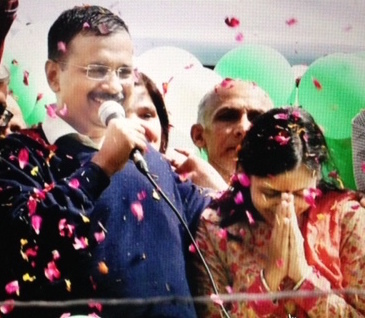 Kejriwal (above, celebrating today with his wife) is a former tax official who first attracted national attention during mass anti-corruption protests in 2011. He now has a huge job to try to run the Delhi government. This would be difficult enough if the government was totally in charge of the city, but it is not because the central government covers law and order and urban development, and there are inefficient separately elected municipal corporations (currently run by the BJP) which are notoriously corrupt. Modi reacted sensibly by congratulating Kejriwal and inviting him to have a cup of tea. Both men would gain from working together. Love the Elephant you ride. Fair analysis.No doubt,Kejriwal has a very difficult task ahead but I would like to be optimistic rather than cynical as I think cynicism doesn’t lead us anywhere.This is a refreshingly new experiment in politics and ideas and I am curious to see how it is going to play out.I,too,thought that it was wise of Modi to reach out to Kejriwal after a rather bitter campaign.The bitterness of the campaign damaged BJP more than the AAP and hence it would benefit Modi if he works positively with Kejriwal- it could be a win win situation for both. There is a saying “Hunooz Dilli Door Ast” or Delhi is still quite a way away”.